Plastic packaging is collected and sorted by households and businesses. This waste is collected by a waste disposal company and then a sorting company sorts it into individual ‘fractions’ or types. In the case of plastics this might be LDPE, HDPE, PVC, PET etc. The different fractions are processed by recycling companies or, in industry, incinerated. 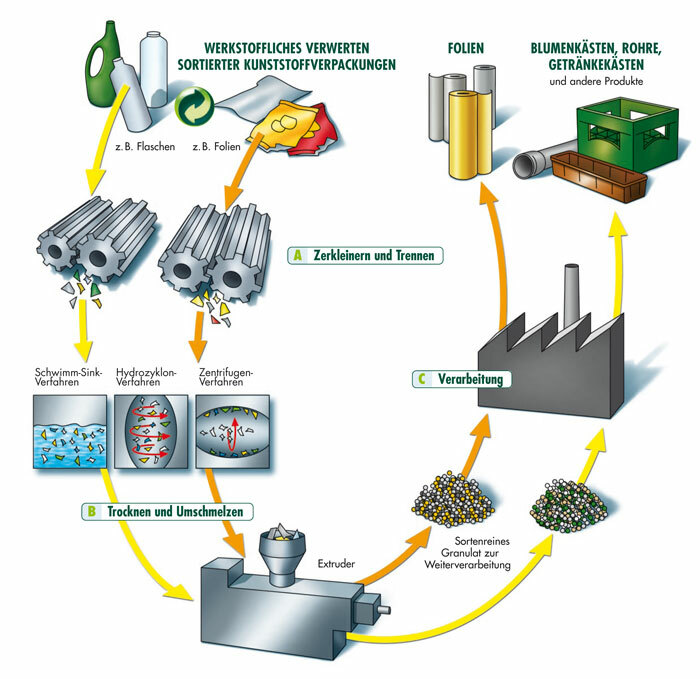 Material recycling companies like Ecoplast ensure that the sorted plastic waste is turned into new raw materials again. These raw materials are then used to make new plastic products, which may be wholly or partly composed of recycled material.